Home / articles / Pinball Wizard, Tillys, Repair Instead of Buy, Oh My! What a long strange fall season it’s been. Today feels like the calm before the storm: humid and warm, replacing the cool windy days that just passed. While the weather is still nice, we hope you’re getting outside as much as you can. Our Jersey Shore Style team has been out and about, and we’re happy to share some of our recent finds! A great time can be had with some old-school fun at the local arcade. We were just at Jenkinson’s arcade in Point Pleasant playing air hockey. We threw in some skeeball and pinball. What a blast! Just good ol’ fashioned fun. It’s been a while since we’ve been to the Asbury Park’s Silverball museum. It’s right on the boardwalk and worth every penny. An entry fee of $15 gives up to 6 hours of play — no coins necessary. We look forward to visiting there again. Tillys, Where you been all our lives? Sure, it’s been around for what seems like forever, and we’ve passed countless times in the mall, but this time, we went in. We’ve been on the lookout for the perfect high-waisted jeans for one Jersey Shore Styling tween, and finally, we found it at Tillys! And boy oh boy are they high — a trend we fully support! The pants are $39.99, or buy one get one 50% off. We like that promo. One Jersey Shore Styler shared a recent conundrum when her 8-year old dryer went kaput. Fix it or get a new one? It’s so easy to buy new for a few hundred dollars, and have it installed, maybe for free. $400, $500, or $600 later, and you’ve got a new dryer to last another decade, right? Well this Jersey Shore Styler opted to repair it instead. She called Herbert Appliance Repairs from Manasquan (732-528-6445), and booked an appointment with Jerry, who also turns out to be the owner. Jerry was able to make a quick diagnosis to find the problem with the heating element. He had the part in his truck, and within a few minutes, the dryer was repaired, $136 later. The culprit: debris from the outside vent. Now, if a new dryer was installed, and the outside vent wasn’t checked as this repairman did, the same predicament would have ensued. Did this Jersey Shore Styler make the right decision in the end? We think so! She has more money in her pocket, a dryer that works, and she now has a reliable repairman that she can turn to again. We’re just happy to pass along the good word. 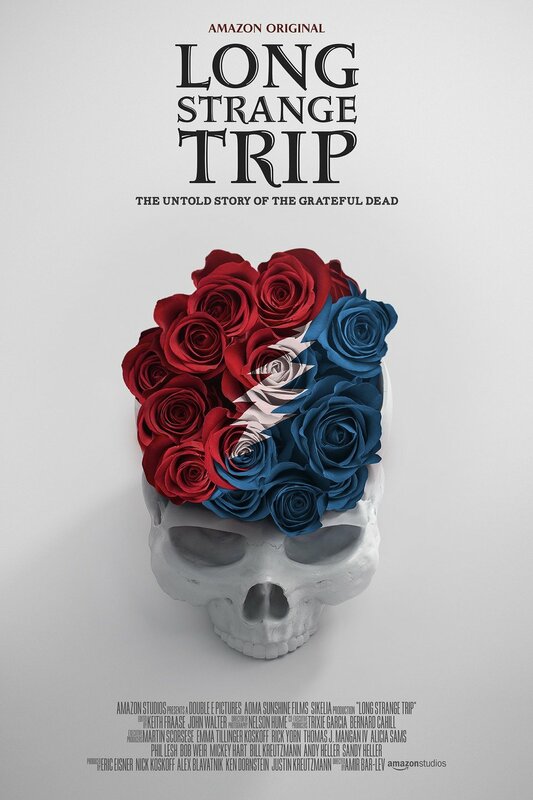 We stumbled upon a new documentary of the Grateful Dead that we thought looked kind of cool, Long Strange Trip. Can you guess the location of this article’s featured photo, courtesy of Victor Bubadias Photography?